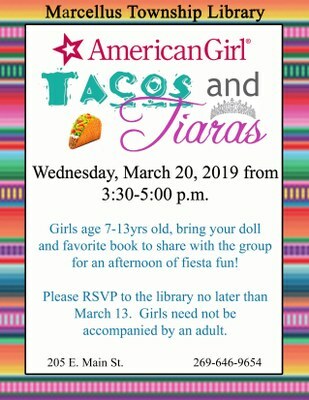 Girls age 7-13 years old, bring your doll and favorite book to share with the group for an afternoon of fiesta fun! Please RSVP to the library no later than March 13. Girls need not be accompanied by an adult.